Trabzon Airport is the only large commercial airport at the eastern end of the Black Sea . Initially, the main runway was only 1,572x30 metres wide. In 1987, a parallel runway measuring 2,640x45 metres was built and quickly brought into service. This opened the airport up to international air traffic. Increased passenger traffic led to a larger international terminal building being built and this was brought into operation on 18.5.1998. 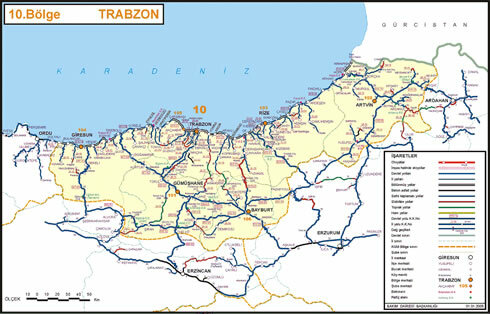 The first large modern port facilities to be built in the eastern Black Sea region were built at Trabzon during 1946-54. The port has extensive loading and unloading facilities which opened up the port to international trading opportunities particularly after the breakdown of the Soviet Union and the new-found independence of its former satellite countries. 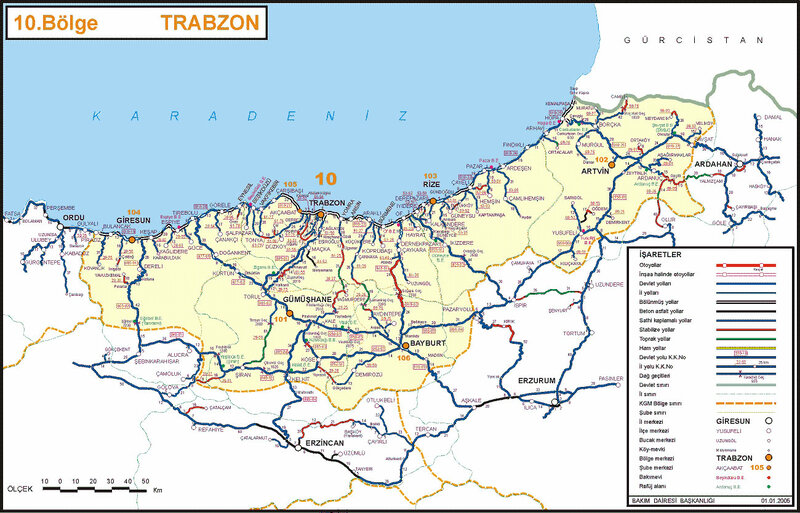 Trabzon port has contributed to the success of the “Transcaucasia” trade route and the Baltic-Black Sea (Ren-Tuna) project. As in the past, east-west maritime trade routes are again meeting at Trabzon .